My work closely relates people to the sculpture. It invites people to place themselves in warping spaces; to change their height and therefore their perspective; to put themselves in an enclosing color environment; or be surrounded by patterns. My plans are to continue making sculpture, where people strongly relate to spaces and surfaces. I have been working on some sculptures and I would like to place a large arc in a park or public space. 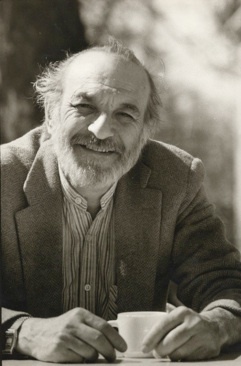 • 1973 - Solo exhibition at Corcoran Gallery of Art, Washington D.C.
We are very excited to announce the latest work by artist Bernard Kirschenbaum. Accumulations is a set of 8 digital drawings printed in a gorgeous limited edition. The prints reveal a growth of form, elegantly nuanced by the organic quality of Kirschenbaum’s drawings. Accumulations’ narrative arc reveals a dialogue amongst shapes that culminates in their energetic congregation. Using sacred geometric principles rooted in fractal occurrences in nature, these prints evolve from a single shape to an interwoven network of many. 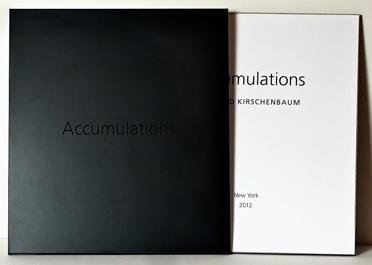 Accumulations is housed in a custom fabricated aluminum box with a silk screened cover. Each print has been hand-cut to a dimension of 24 x 27 inches. A beautifully designed title page and colophon introduce the prints, as well as a brief piece of writing about Kirschenbaum and his artistic philosophy. Each set of prints within this edition contains the signature of the artist. Additional information and pricing available upon request.